Custom product. 2 week lead time. 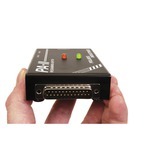 Our programmers are high performance replacements for the Motorola® Interface (RIB). 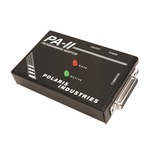 PolarisUSA Radio Programming Adapters are 100% compatible with Motorola® Radios, as well as providing additional benefits and features. PolarisUSA Radio is the Number One choice for a Cost Effective Solution to your radio programming needs. PA-2 Made In The U.S.A by Americans! No...really. We'll make one, or two, for you, too! 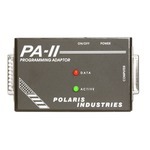 PolarisUSA Radio, Inc. offers three models of Programming Adapters, and while all three adapters are 100% compatible with all Model Cables we sell, the units were designed for three separate applications. 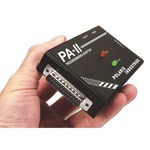 The PA-4: is intended for mobile and stationary use like the PA-2, but is smaller and uses a 9V battery. 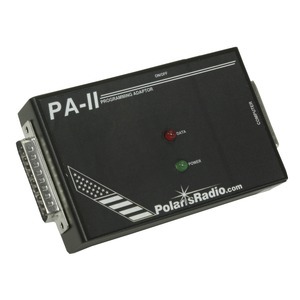 The PA-4 is a great fit for both radio tech benches and on-call radio programming or repair, as the unit is portable. I've been struggling trying to get various 'RIB-less' cables to work with certain Motorola Public Safety Radios. This worked 'out-of-the-box' first time. WOW! You have no idea what a relief that was! Click here to see all 15 reviews.